The College of Arts and Sciences serves over 10,000 students across 60 majors. We are the largest and most diverse college at the University. Our academic services team is committed to student success in the classroom and beyond. Each year, we learn of students encountering situations outside of their control that result in an unexpected financial burden on them or their families. Often, this happens because of a parent losing their job, an unexpected death in the family, a medical emergency, or any number of crises that prevent students continuing to pay for their education. Such situations put students in an incredibly vulnerable position: when bursar statements go unpaid, students are unable to enroll in classes or access their transcripts, meaning that they can’t apply for the very jobs, scholarships, or awards that could relieve some of this financial burden. The Discretionary Emergency Scholarship Fund was put in place to alleviate the burden of life's turmoils that we all encounter for our students. This fund has awarded over $16,000 in scholarships and helped plenty of students remain in school and enrolled. We know that there are still many students who are still in need of our assistance to complete their degrees. How can you help us make dreams come true? This is the part where you come in! With your support, the Emergency Scholarship Fund allows faculty and staff in the College of Arts and Sciences to empower students experiencing such hardships so that an unexpected financial setback doesn’t prevent them from graduating on time or at all. The College of Arts and Sciences can help more students like Marie and Alex if you help us provide them with the financial assistance they need. Please do not hesitate to give even with the smallest amount you have. It takes a village for us to look out for one another and we cannot do it alone. Your contribution is invaluable. How can you help us spread the word? We are trying to share our mission with as many people as possible. Please email this link to your friends, families, and colleagues, or share our page on social media. 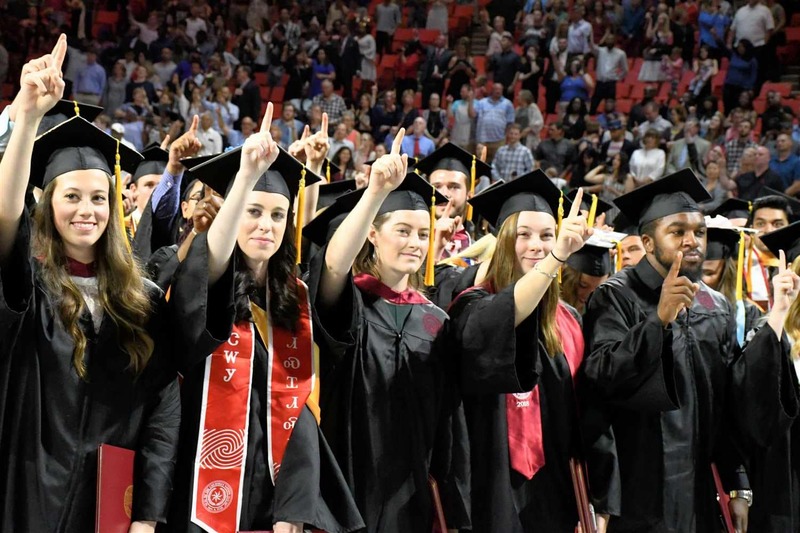 You can help empower students and provide them with the tools they need to succeed at OU! Each small gift adds up to serve a great purpose. By donating this amount you play a role in relieving a financial obstacle for our students! You become an advocate for the well-being and success of our students! This gift elevates you to the role of mentor. Your gift allows for future graduate to stay on the path to graduation! See a student through the finish line and across the graduation stage!